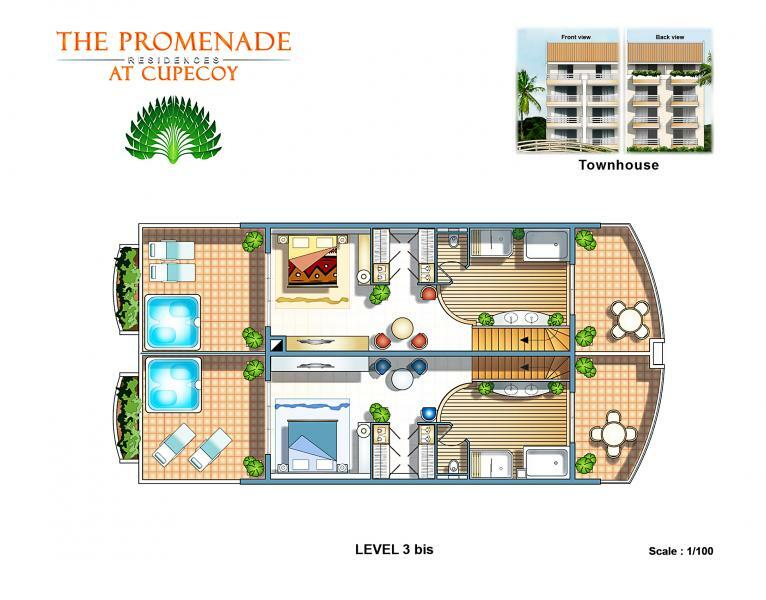 PROMENADE is located on the island of St Maarten, Netherlands Antilles, in Cupecoy, booming area where there are some of the finest projects (Cliff, Cupecoy Yacht Club made by the group ORIENT EXPRESS). 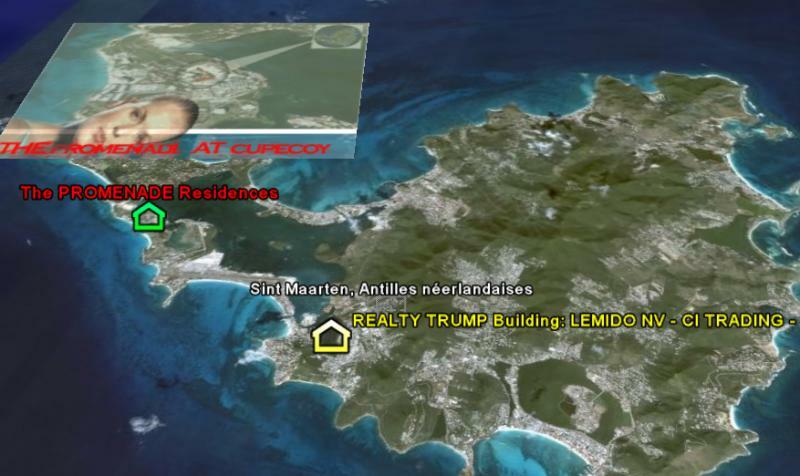 Its location between the sea and the lagoon offers the advantage of tranquility coupled with the nearby beaches (Mullet Bay to 500 metres). The slight retreat from the sea can provide for selling prices reasonable compared to rates charged by some other operators. 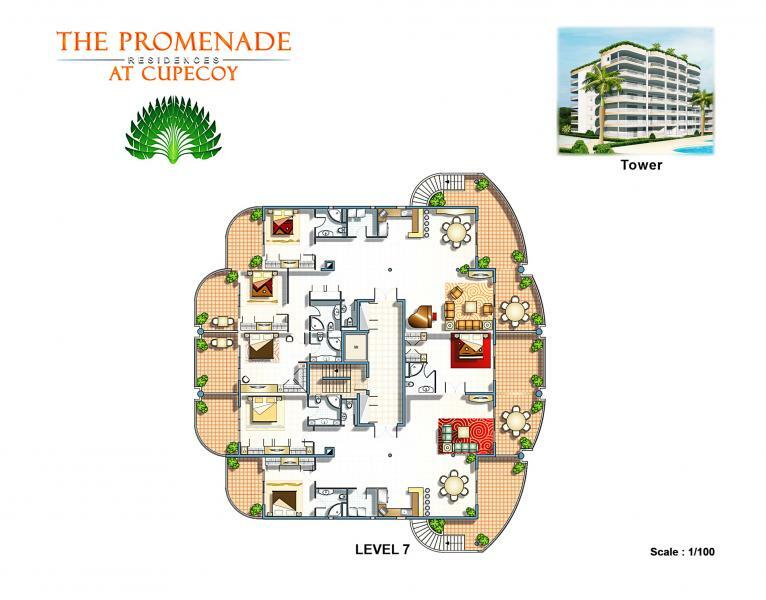 PROMENADE is a turnkey project, including a parcel of land of 15,600 square meters, permits, estimates, website and, if necessary, technical and administrative support. The building permit has been accepted for 130 units (from studio to penthouse), divided into two 7-storey towers and nine 4-storey buildings, in order to increase the financial yield of the operation.